I think I speak for all when I say, we want to know what comes of the match making. Right? Right. She did text him by the way. And they’re going to meet up. Stay tuned. Speaking of texting, I think it’s ruining dating. I wouldn’t know, but I know that women in my life who are dating and ask my opinion on what to do NEVER do what I suggest. Because I think they’re all chickens and technology has made people into dating idiots. Anyone can be bold over text message, but what if you totally freeze when you finally MEET that person, or get to KNOW that person? We’re now very happily married. Without the help of text message. We talked and didn’t play games. Our relationship moved quickly with the “I love you’s” and all that jazz because we shared what we felt, not what we thought we should feel. We didn’t play the “I don’t want to look desperate” game, we called when we wanted to talk, or just because. It’s a confusing war zone out there for those seeking love. When you find a worthy someone, I suggest 1) being up front and honest and 2) making this meal. Risotto is so romantic and this meal appealed to every sense — smell, mouth feel, flavor, and it looks great, too. Delicious. Absolutely delicious. Mr. Prevention concurs. And the wine cancels out the garlic, in case the night ends in kisses. And wine should accompany this meal for the full enjoyment that is marsala. Heat the chicken broth in a medium saucepan until simmering. Melt 1 tablespoon butter in a large heavy-bottomed skillet over medium heat. Add shallots and saute until soft, 2-3 minutes. Add garlic and tomato paste. Cook until fragrant, 1 minute. Add the Arborio rice and toast until opaque around the edges, 2-3 minutes. Add 3/4 cup of the Marsala wine and cook, stirring often, until absorbed, about 2-3 minutes. Stir in 1 cup of the chicken broth, and stir occasionally until almost absorbed, 5-8 minutes. Working 1 ladle of broth at at time, continue to add broth, stirring often. Add the next ladle when the broth is almost completely absorbed. After you have been cooking the risotto for 10 minutes, stir in the mushrooms. Continue to cook risotto, stirring constantly, until the broth is absorbed, for a total of 20-25 minutes. Meanwhile, pound chicken breasts to desired thickness, about 1/2 inch; season with salt and pepper. Heat remaining tablespoon of butter in a large skillet. Pan fry the chicken until lightly browned on each side, about 3-4 minutes per side. Remove to a plate and cover with foil until ready to serve. 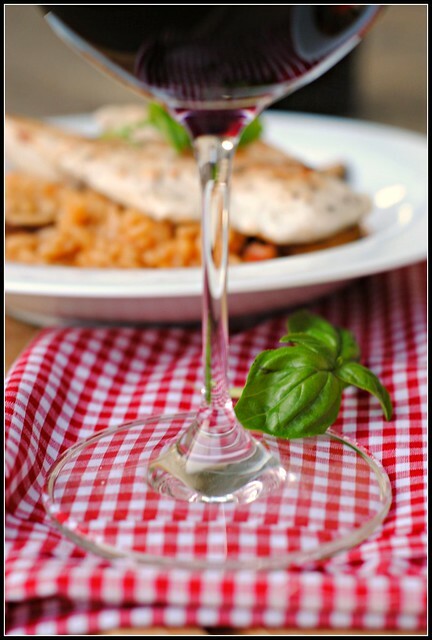 Remove risotto from heat, and stir in remaining 1/4 cup of Marsala wine, Parmesan cheese, and basil. 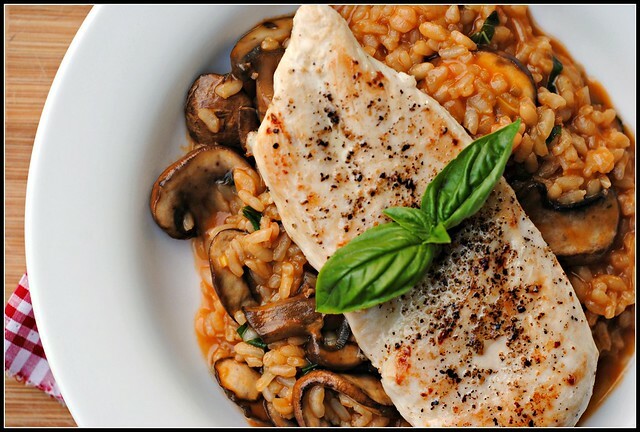 Top each risotto portion with a chicken breast. Serve immediately. Result: Uhhhmazing! I couldn’t get over how wonderful the scent of this meat wafting thorough the house was almost just as enjoyable as the meal! 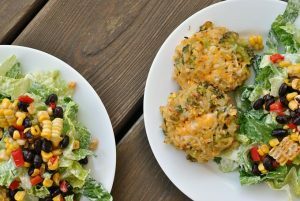 This portion is plentiful, the meal can be stretched to feed 4 with a side salad. Unlike a lot of risotto recipes, this recipe doesn’t use a lot of cheese…just wine! 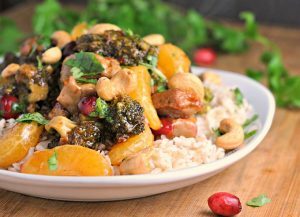 Be sure to purchase a really good marsala…it really does make all the difference! Enjoy! I ran 15 miles last week! I’m back in the groove since I have new fall TV to watch while on the treadmill. Hockey tonight and tomorrow! Thanks for all of your loyal readership — 2 million views! Wooo! That looks really good! I don’t know why I don’t make risotto more often. It’s so tasty and easier to make than it sounds. Hahaha forget engagement chicken! 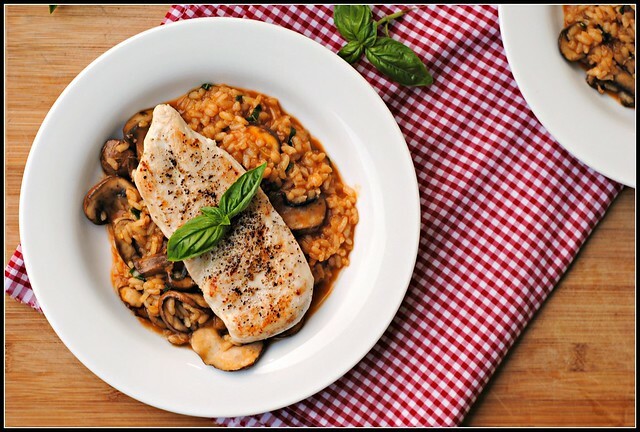 Chicken Marsala Risotto is the key to love. You are so funny Nicole 🙂 And yes, I totally want to know what happens because I also live vicariously through others! 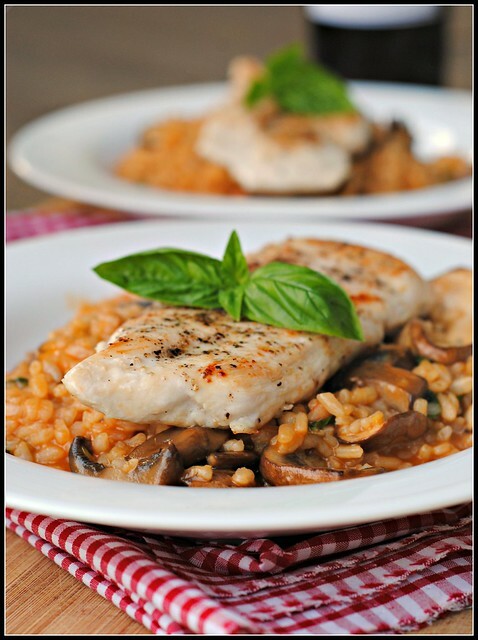 Your chicken marsala risotto sounds like the perfect fusion of two of my favorite dishes! P.S. Loved the story of your and Mr. Prevention – adorable! And I agree with you, this meal is perfect for a date. I love risotto, but have only made it once. Great dating advice. I am with you!!!! I’m a vicarious life-liver too. And you’re one I live vicariously though! Risotto is so gooood! I’ve never made it myself, but I should! Especially this marsala version – I love chicken marsala! Also, I’m definitely not a “rules” type of girl. I hate playing head games with guys. It’s frustrating and dishonest and I really don’t think it is that effective. Although your “playing hard to get” seemed to be effective in snagging Mr. P. but I guess you were legitimately uninterested so you weren’t really “playing”. This risotto sounds absolutely amazing! Love the flavors! This looks so tasty and healthy. I gotta try it out!